we have all this newfound coin, what to spend it on? well, if you like clothes and fashion, you can visit the various fashion designers scattered around istaria and buy formulas to create your own haute couture (provided you have the proper tools, skills, and resources). 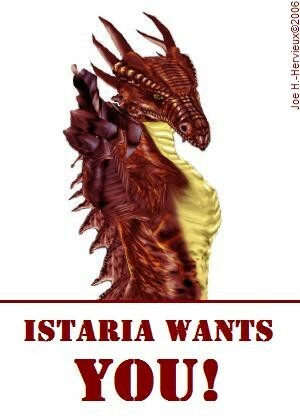 we will explore the cities with fashion designers (dragons have no need for fashion in clothing, so chiconis and dralk will not have them) in alphabetical order, but there is only one haberdashery in istaria, and it is in bristugo. fortunately, the home of sheila jonis is right across the road from the shrine, so the haberdashery is easy to find. step inside the front door, and you will see the hatmaker directly across from you. approach sheila and greet her, as you would any other npc. she has a short sob story, but doesn't offer me any quests. exit the chat and open the trade option. choose the items you want to buy by highlighting them, then right drag to the 'items recieving' field. choose the number of items you want to purchase (the default is 1), check how much they will cost you in the 'items giving' field (for one each of all 7 items, a whopping 87 sp, 500cp), approve the trade, and check your inventory for your new hats! now we have some new hats, time to go on a tour of fashion designers, so we can get some patterns to make matching outfits! we start that tour (which includes a little surprise mini tour) when next we meet. hope to see you then.